From Monday 29th April to Friday the 3rd of May I am going to be taking part in a fundraising project to raise money for those in poverty. This will involve spending only £1 (or $1.50) per person per day on food for 5 days. 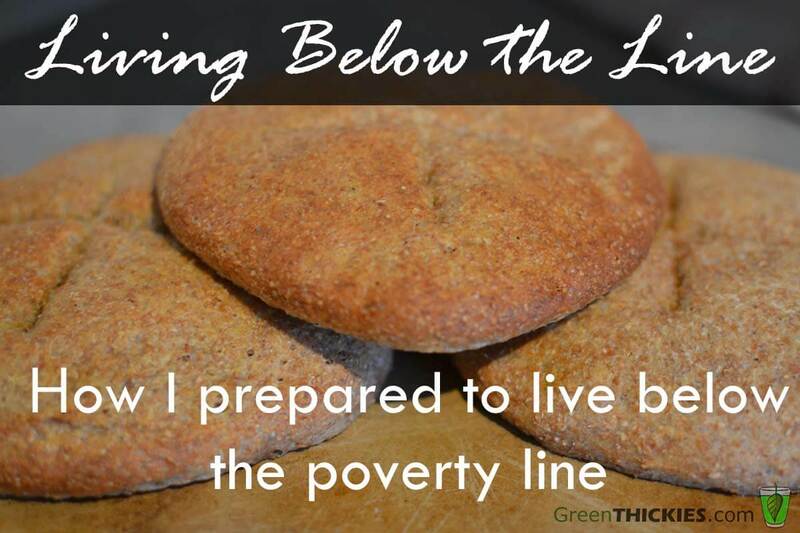 I explain more about how I can across Live Below the Line and what it involves in my post here. I was really impressed by some of the people who had taken part in this last year. When I was looking at the food they had bought my first thought was ‘there is no way I’d be able to take part in that challenge!’ I make pretty much all my meals from scratch, avoid processed foods especially white flour and refined sugar and didn’t really want to eat that kind of processed food for 5 days. I know the whole point of the project is to experience some hardship but as I’m not willing to eat unhealthily at the moment for any reason. I’m heavily pregnant and I have my unborn baby to take care of as well as my own health which has been put under a lot of pressure during this pregnancy. My whole family is taking part including my husband and I want him to have enough energy for his work, and I’m also not willing to give my toddler unhealthy foods either. I always assumed that making everything from scratch was much more expensive than buying cheap value processed foods, but when I had a good look around my local supermarket I realised that there are quite a few healthy food ingredients that could be thrown together to make basic meals and mean I could stay within budget. Eating unprocessed meals made from scratch for the week would probably be more realistic of a third world country and their food choices. A lot of people don’t have the option to pop into Tesco and get a cheap tin of soup or a loaf of value white bread. They would probably make their meals from scratch from very basic ingredients and that is what I’m planning to do. I may not have my usual variety of fruit and vegetables available to me during this week but I feel good in the knowledge that I’m still able to feed my family a fairly wholesome diet. It may be a bit bland and boring but I’m still aiming for healthy and I’m still aiming for filling. I think it can definitely be done. I’ve been overeating towards the end of my pregnancy, eating a lot of my meals when I’m not hungry just because it’s time to eat. So having more boring food available for my meals will hopefully ensure that I just eat what I need to fill myself up and no more. I’ll have to recognise the difference between craving food because I like the taste of it and actual hunger. Although I’m not planning to actually go hungry as it’s not right for me during my pregnancy, hopefully I’ll be able to show that with some careful planning you can still eat healthily and avoid going hungry even if you have very little to live on. I’m going to be donating the difference between my weekly budget and the £15 that I will actually spend to the charity, Tearfund. If you would like to donate, or would like to check out my profile then please take a look. You can also have a browse around the official website too if you fancy taking part yourself. OK I’ve got a little quiz for you. Which do you think are better value for money? 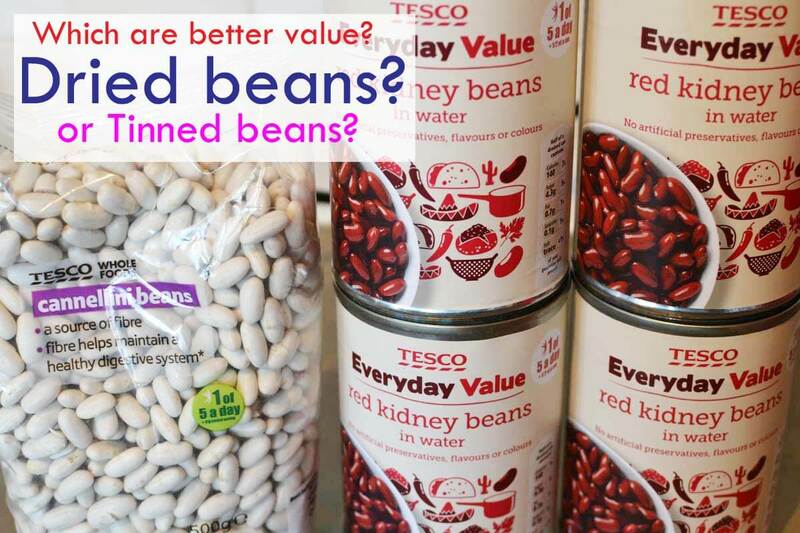 5 tins of Value kidney beans for £1.05, or 1 packet of dried Cannellini beans for £1.09? I had to buy both of them prior to the challenge so that I could use the beans that were better value. This involved cooking the beans and weighing the cooked beans to get a true price comparison as they get heavier once they are cooked. I’ll give you the answer tomorrow. I’m going to try and blog every day this week to let you know how I’m getting on with my challenge. Check back tomorrow as I’m going to be giving you a sneak peak at the food that I bought for the week. Find out what food I actually bought and which are the better value beans in my next post. I’m really looking forward to hearing your thoughts on this process. 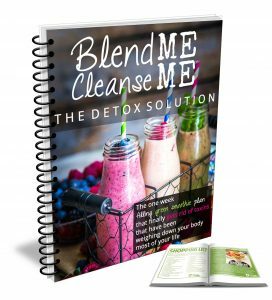 We are so blessed to be able to eat good food on a regular basis, but many aren’t. It’s so important to draw attention to this issue. 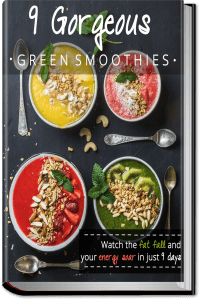 Being healthy is not always an option for some!